Building a new home, returning to the farm. Re: Building a new home, returning to the farm. Is the existing barn you can see from the porch pictures yours? Part of the original farm? Yes, my barn. It was built in '54. I like the looks of the maple floor! Yes the railings are aluminum, and strong and rigid. I thought we had decided on iron railing from a local guy but these work just as well. These had to be special order because of the span between posts. I'm fine with them. Looking great. 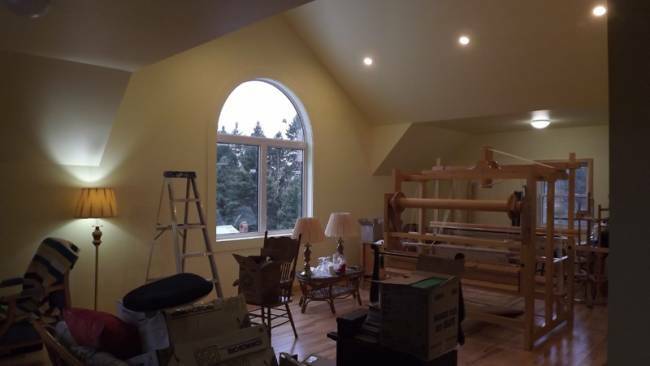 Will be good to get infront of the loom and do some creative designs. In your new home. 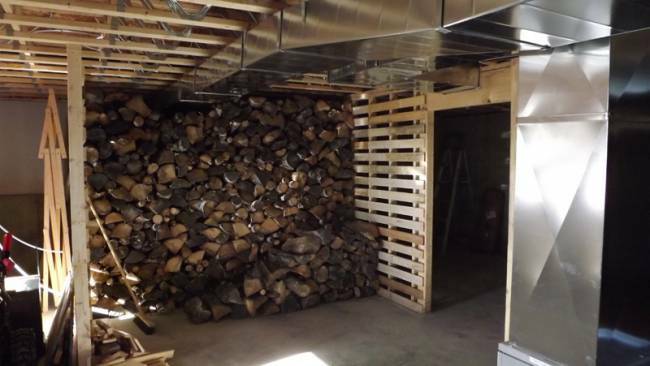 Doors,stairs and cupboards.....and lots of firewood. 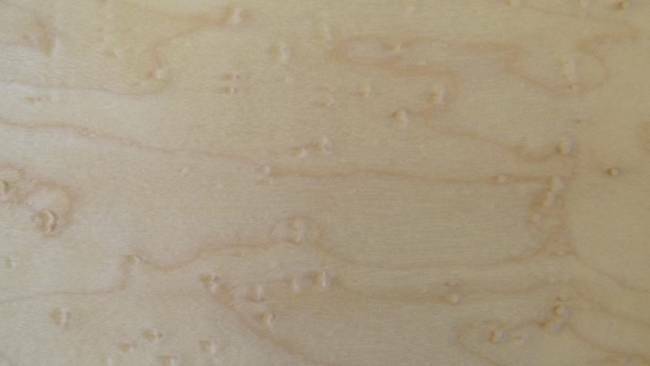 Noticed some birdseye figure (photo) in the maple on one drawer face. 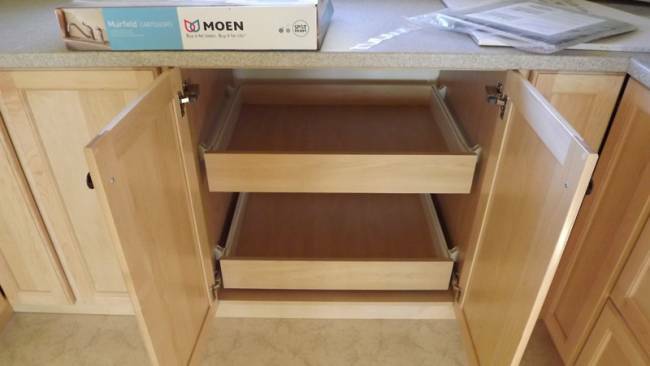 The shelves pull out, no reaching behind on hand and knees. All the cupboard doors are on European hinges with those easy close gadgets on them so they don't slam. 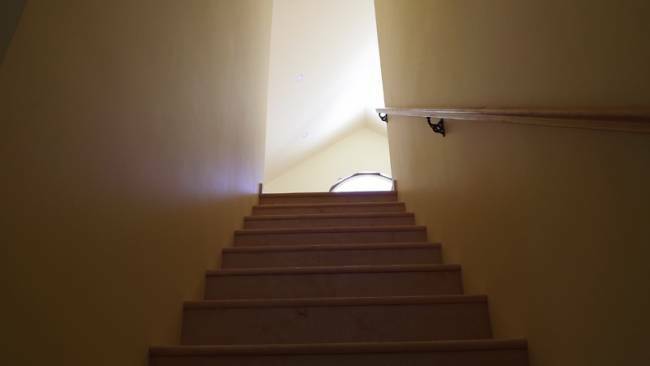 Stairway handrail of maple with brackets used to mount them (got the brackets at Lee Valley). 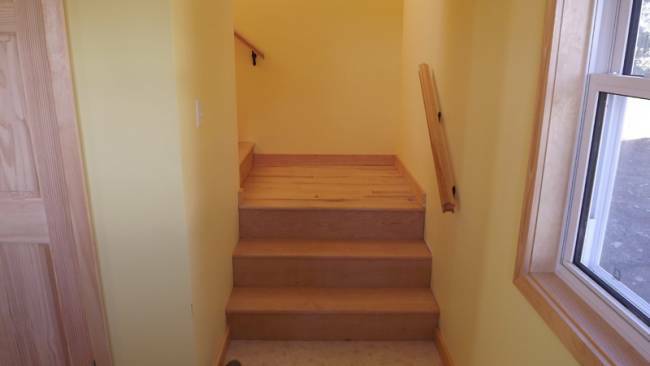 Steps are maple. I need two more coats of finish, sand between the coats. 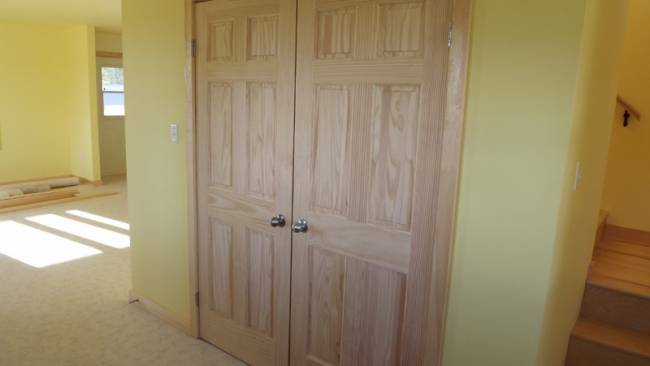 Pine doors throughout, except the broom closet and my bedroom door is hard maple. 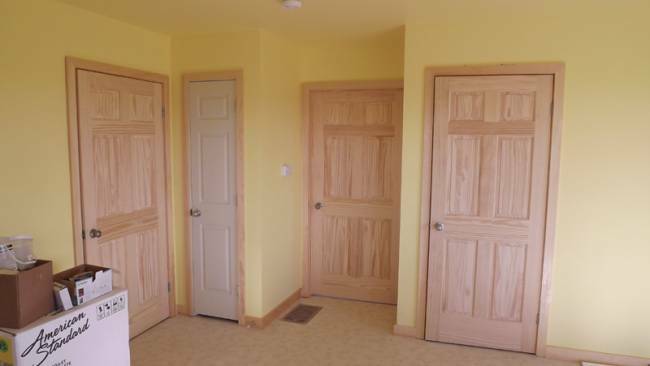 Another big walk in closet with a set of pine doors not shown. 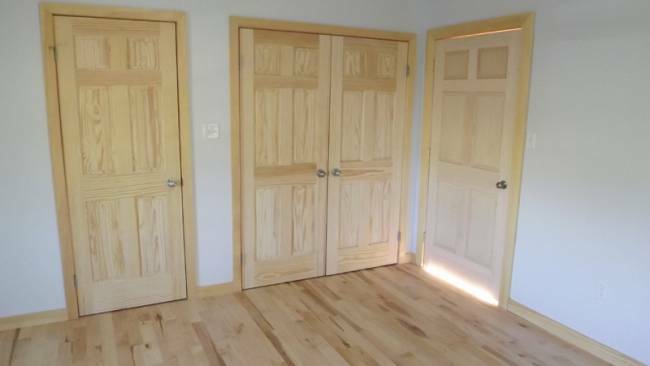 Had to wait 8 weeks for that maple door, and $800 later. Doors all waiting to be varnished. 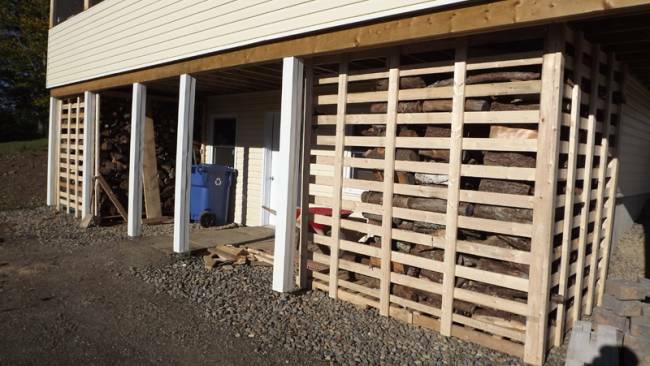 Firewood room inside and free standing racks outside (braced corners and across top). There is over 6 cord stacked now and 2 more to be stored. I believe the wood room holds 5 cords. Thanks for the update. You've gotta be getting antsy. Yep! 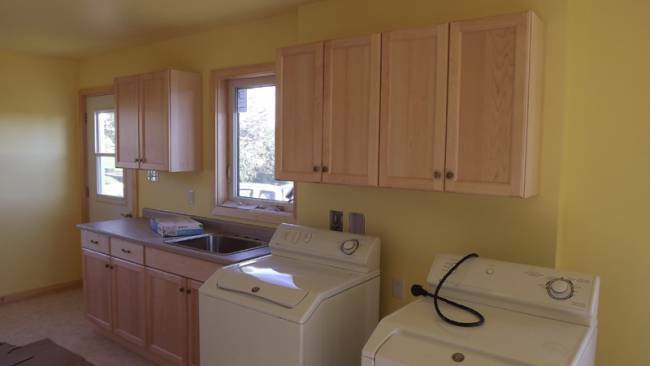 The plumber comes Monday to finish up. Got the submersible in the well on Thursday, so hopefully the electrical will be finished up this week to. 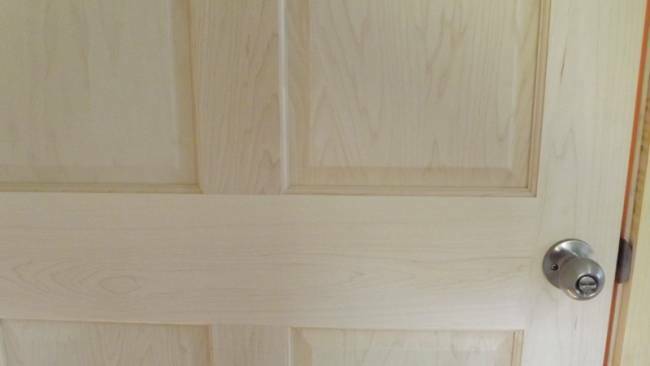 The room doors all need varnished. Still waiting for the moulding on the dormer window. A lot has gone on! It is really looking good. How do you control or deal with bugs in all that inside wood? That should do it, they don’t disembark. You have a nice set up! Yes, I moved in on October 12th. Only a couple things that moved a bit slow. One was waiting for rubberwood for the dormer window. Another is a window repair, it was not put together right at the factory. They are fixing that Nov 13, after months. The problem there is the window company getting parts to the repair man, who is a third party. No one knows what the other is doing most of the time. 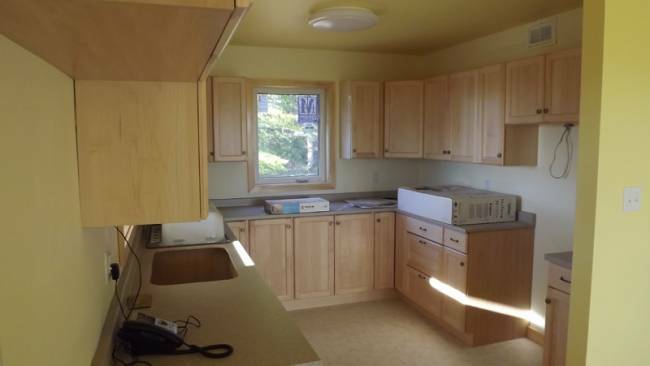 Special order items are a bit on the slow side, like cupboards and a hardwood door 8 to 10 week slow. Still arranging things in the weaving studio or 'great room' on the second floor. There!!! Glad all is going good for you. Thanks for the update SD. Hopefully more pictures will follow. Really nice! Congratulations on a very nice and quick build. I noticed it was 1/18 when you started the thread. Foundations dug in June. Here it is November and you are in! I am about 10 years in on a barn project! Page created in 0.826 seconds with 39 queries.